Come enjoy a fun-filled week of family activities in the warm Carolina sun. The Rice Festival has all the elements that make it fun for the entire family. Central to the festival is an arts and crafts area with a wide array of handcrafted items. The queen of the Rice Festival is crowned in a special pageant and she takes her rightful place of honor in the Rice Festival Parade as it meanders through downtown as a kickoff event to the festival. A 5K run, rated one of the top races in South Carolina, is another signature event for the festival. And what Carolina Festival is complete without a food court? Sprinkle in activities such as fireworks, music and other entertainment, and you’ve got an event sure to please the entire family. Join Tom and EunYoung Sebazco for a unique lunch “A Taste of Rice”, as they introduce 17 different types of rice dishes by size, by color & by region. All rice dishes will be paired with plant based side dishes. Some dishes may contain chicken stock and dairy products. Rice-drinks and sweets will also be served. Furthermore, we are thankful for the generous sponsorship of *Koda Farms & *Shichi Hon Yari (Tomita Brewery) for this venue. Tickets are available at Eventbrite. Hadeel Assali is a Palestinian-American anthropologist who is interested in cultural practices around food, especially rice. She is currently a PhD candidate at Columbia University. Nahida Saker has a PhD in food science with a specialty in cheese-making on her Texas farm, Laziza Farms. She is also Hadeel's mother. Together, they will share stories about the different dishes presented in the meal. + Mezza - Small plates of various foods including olives, cheeses, and various dips and finger foods. Served with warm Arabic bread. The singular ingredient rice has impacted and united people in the city of New York; one of the most culturally diverse cities in the world. LiveRice presents a unique and impactful destination to showcase the influence that rice plays in our daily lives and communities such as culinary, Art, Life style, Texture and more. We invite you to visit our special exhibition and attend varied events at KOSAKA. 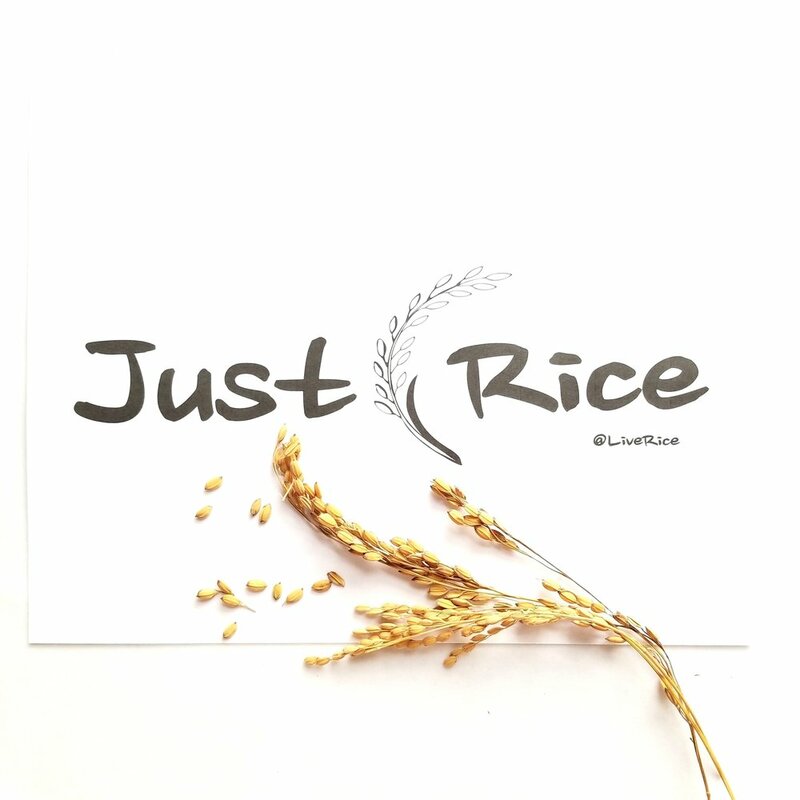 Let us raise awareness together the importance of this singular ingredient: “RICE” as it nourishes people globally. The 41st Annual Arkansas Rice Festival will be held Saturday, October 14, observing the rich heritage of rice farming in Arkansas and celebrating harvest. The festival is held annually the second weekend in October in Weiner, Arkansas in conjunction with National Rice Promotion Month. Experience the story of Toyooka City at brushstroke through an intimate culinary experience curated for only 30 guests. WJapan’s Hyogo Prefecture and its organic crops, nature and wild life with a multi-course kaiseki experience focused on Toyooka City’s Stork Natural Rice and designed by Chef Isao Yamada. The Mayor of Toyooka City will be in attendance to present the evening’s menu and to discuss the region’s rural revival, environment, and rebirth of region’s wild white stork. The evening will begin with an introduction by the Mayor of Toyooka City, Muneharu Nakagai. Guests will then enjoy a seasonal, progressive tasting menu by Chef Isao Yamada accompanied by a beverage pairing curated by Brushstroke’s sommelier Josh Copeland. Welcome to beautiful Brunswick Riverwalk at Belville, NC for the North Carolina Rice Festival, We invite you and your family to enjoy two full days of fun in this beautiful 22 acre park with a viewing deck on the Brunswick River. Festival events include live music both days, arts and craft vendors, an art contest, a rice cooking contest, a kids play area and a beer garden for the adults. The Rice Festival (Fiera del Riso) has, for half a century, the greatest and most beloved Italian festival dedicated to risotto and rice. Here you will find one of the most popular dishes of the world Italian cuisine, prepared according to recipes that count decades of history. To prepare chefs from different regions of Italy and risotto cookers Masters cooking the risotto at the Fair with the same care and tradition with which you prepare the rest of the year at home for his family. Many of them behind hundreds of thousands of cooked rice. A unique and unparalleled, which is found in the flavors and scents of their exceptional dishes. And the fair is not just food! Parades in costumes, shows, sports and convention alive 26 days of celebration. The Rice Festival is also home to one of the most visited trade fairs in northern Italy, with 150 exhibitors from different regions of the boot. The annual three day conference brings together professional and home bakers, maltsters, brewers, distillers, millers, farmers, wheat breeders, chefs, food writers, and entrepreneurs from around the world. Attendees choose among 40 workshops, panel discussions and demonstrations that explore a range of topics which may include matching wheat varieties to end products, the benefits of fresh milled flours, milling techniques, brewing and baking with non-commodity barleys, baking in a wood fired oven, starting a whole grain bakery on a budget, growing a regional grain network, the science of bread, haiku, food photography, and comparing flavors and functionalities in a variety of wheats and other grains. All levels of baking ability are welcome! The individual registration fee is $450 and the corporate fee is $950 and includes dinner on Thursday, breakfast, lunch and dinner on Friday, and breakfast and lunch on Saturday, as well as optional field trips Saturday afternoon. To become a Grain Gathering sponsor or for more information: wendy.hebb@wsu.edu. Take a trip around the world and back in time through the history and culture of grains. This class features demonstrations, discussion, hands-on activities, and tastings. Sonoko Sakai, a food writer, culinary consultant, producer, and cooking teacher, recently published the cookbook Rice Craft. Her stories and recipes have also appeared in the Los Angeles Times, New York Times, Chicago Tribune, and San Francisco Chronicle. Featured food is onigiri. An ancient food still popular at modern convenience stores, Japan’s rice bundles can be found tucked into lunchboxes everywhere. Formed into classic triangles, cute pandas, or pressed into colorful layers, the basics are few—rice, a filling, and perhaps a wrapper—but the possibilities are nearly infinite. Elizabeth Andoh, a scholar of Japanese cuisine, will guide us through a thousand years of culinary history with an illustrated lecture to place these distinctly Japanese snacks in their cultural context. The reception—featuring sake, tea, omigiri and omusubi— and lecture will take place at Globus Washitsu, a serene, authentic teahouse. The conference attendees to learn how they can grow food year-round, no matter what the climate, and how they can build markets for small farms. We hope that the conference will galvanize our collective efforts to create a new food system that fosters better health and more closely-knit communities. The Growing Food and Justice for All Initiative (GFJI) will be holding its seventh annual Gathering concurrently with the conference and are planning many cultural activities to enhance the community spirit of our conference. The 2016 World Rice Conference, the world's most premier conference focused solely on the rice industry, will be held from 16 to 18 November 2016, at the Le Meridien Chiang Mai hotel, located in beautiful Chiang Mai, Thailand. The 2016 symposium will bring together a diverse group to talk about critical issues for the rice sector: market developments, risk management strategies, environmental considerations, rice authenticity and promotional strategies all feature in the discussion along with major trends relating to food technology, population growth and the attitude of consumers. North Carolina Rice Festival will be at Brunswick Riverwalk at Belville. With the permanent settlement of the Lower Cape Fear in the 1720s by a group of wealthy South Carolina planters, a new agricultural staple was introduced into North Carolina—rice. Rice by this time had proved to be the “golden grain” of South Carolina as tobacco had earlier become Virginia’s “golden leaf.” By 1700, rice was established as a major crop for the colonists. That year 300 tons of American rice, referred to as "Carolina Gold Rice," was shipped to England. From Hiroshima’s soft, sweet brews to the clean, dry sake of snowy Niigata, regional characteristics often play a role in the flavor profile of sake. At Japan Society's 19th annual sake lecture & tasting event, sake expert John Gauntner examines how factors such as raw materials, climate, and regional cuisine can affect the taste of sake from different parts of Japan. The lecture will be followed by a tasting reception with more than 30 kinds of premium sake, including two new brewers. creates, embodies three features: delicacy, texture, and light. by preserving silk’s elegant texture and using Japanese dyes and pigments to maximize contrasts of light. which are astounding to behold. His designs transcend the traditional and is a bridge to modern lifestyles. Ms.Tetsuko Kuroyanagi, one of the most beloved talk show hosts.“Tetsuko no heya” has been airing for 40 years. On display will be the Kimono which she wore when Tom Cruise appeared on her show in Tokyo, Japan.